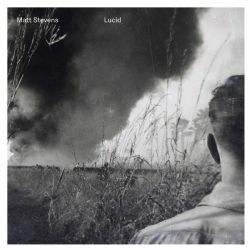 London, UK – Esoteric Antenna is pleased to announce the release of the new album by acclaimed guitarist MATT STEVENS, noted for his work as both a solo artist and as a member of Fierce and The Dead. “Lucid” sees Matt joined by a host of guest musicians including drummer Pat Mastelotto (King Crimson), Bass guitarists Lorenzo Feliciati (Naked Truth), Charlie Cawood (Knifeworld) and Kev Feazey, keyboard players Jem Godfrey (Frost) and Emmett Elvin (Chrome Hoof / Guapo), violinist Chrissie Caulfield (Helicopter Quartet / Crippled Black Phoenix), vibe player Jon Hart and Nicholas Wyatt Duke (Trojan Horse) on Spoken Word. As befits this most unique musician, “Lucid” is a carefully crafted work, and one that is surely to be one of the Progressive Rock highlights of 2014.